After years of extensive market research about the group break scene, Chris, owner of Top Shelf Breaks, was eager to merge his background as a radio DJ, record promoter, and passion for collecting, all into one place. In 2015, the "Personal Online Card Concierge" was born. Chris saw an opportunity in the industry to raise the bar in production and presentation. Like a concierge at a hotel, he wanted to create an environment where collectors and their needs came first. Essentially, this means providing customers with concierge-level, white-glove service. Chris feels like there is a big difference between a "breaker" and an online card concierge, saying, "Anyone can have a box cutter and a webcam and break cards, but there is much more to it than that, and there was this untapped potential that was getting stale. It's the personal touch, knowing your customers personally, developing relationships outside of just the money and the breaks. That is the foundation of TSB. Fast shipping, integrity, and trustworthiness are the easy parts, and come naturally. The work is in building relationships with your customers, their family, and their livelihoods." While group breaks are a main component of Top Shelf, customers have other options as well. Chris added, "TSB offers more than just breaks. You will find personal boxes, buying, selling, trading, and a community where collectors can feel comfortable spending their hard-earned funds daily." After just one year in business, Top Shelf Breaks has already accomplished some impressive things, like being the first to offer fantasy football breaks, which were wildly successful. This year's fantasy football breaks are going to be bigger and better, with newer technology making it even more fun and more efficient. TSB is great at adding the "fun factor," which is why you will always see "monster hits" coming out of their breaks! 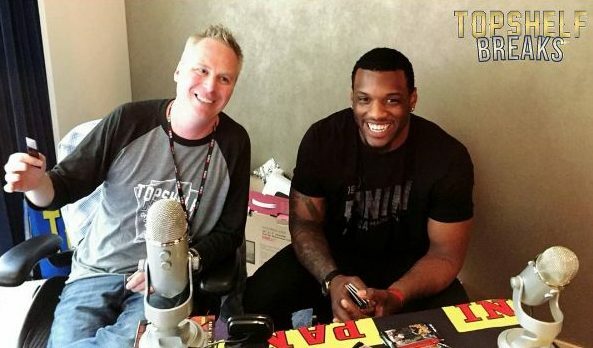 One of the biggest highlights to date for TSB was a surreal weekend doing live breaks with the players from the NFL Draft in Chicago at the 2016 Panini NFLPA Rookie Debut. It's events like this that give TSB the opportunity to extend the experience to their followers and customers watching at home. TSB also has big plans for the future and is excited to share them with everyone at the 2016 National in Atlantic City. They will be set up in the Case Break Pavilion and will also be hosting multiple breaks at the Panini corporate booth. Check the TSB website for full details about their plans for the NSCC. 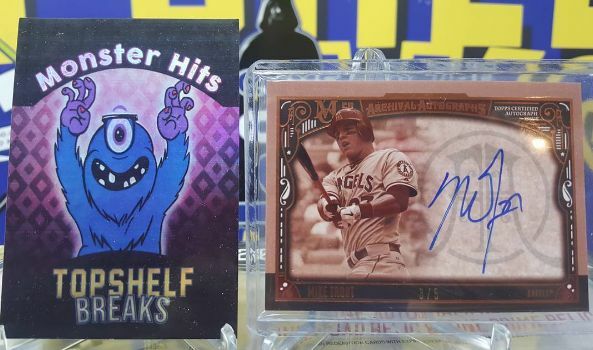 Top Shelf Breaks is an actively licensed LLC in the state of Illinois and an online vendor of various sports cards, boxes, cases, collectibles and memorabilia. They are live each night on YouTube for creative group breaks, entertainment, and, of course, hunting monsters.